After a long and snowy winter, spring cleaning is the most rewarding chore you’ll do all year. Preparing for the summer months and turning your home into a new display of your inner character and warmth provides your environment with new strength and energy, as well as fresh appeal to change. 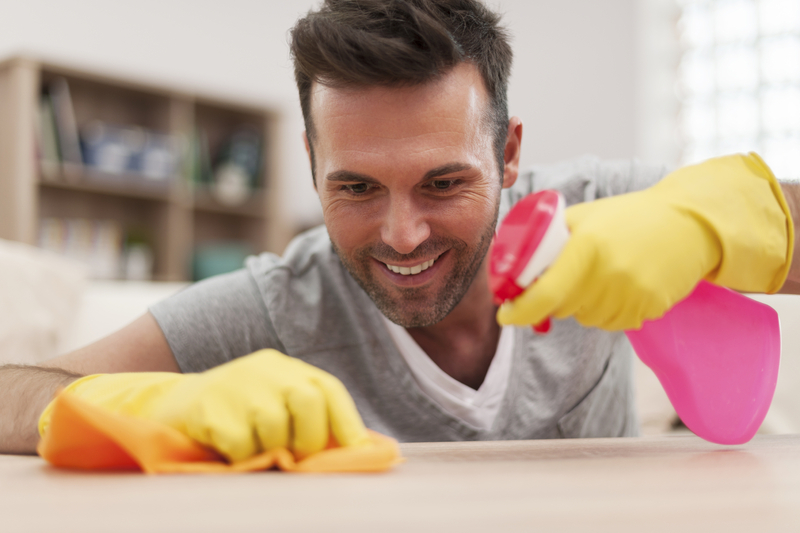 Instead of boxing everything up and spraying surfaces with bleach, consider these fun methods of simplifying your approach and improving the organizational aspects of your life. Closet organization is a serious trend this season. There are numerous new businesses and products springing to the market that help create more navigable closet spaces with shelves, drawers, racks, and hooks for every occasion. Creating a custom solution for your personal storage space can go a long way towards maximizing efficiency and keeping better tabs on your collection of possessions. There are also innovative ways to utilize other empty spaces in your house, such as under the bed, beneath staircases, or even the room available under raised ceilings. Creating dedicated, long-term, storage space for certain items you won’t need all year is okay too. Once the sun peaks and the rainy season begins, the bulky winter jackets, fur boots, and endless scarves will just be taking up valuable space which your umbrellas, parkas, and galoshes could be occupying. Instead of brushing seasonal items to the side, try boxing up next winter’s necessities and sticking them somewhere out of the way: the attic, crawl space, or even a storage locker. Renting a storage unit provides tons of extra space, both out of sight and out of mind. These safe, climate controlled solutions can be an excellent choice, especially for people with limited home storage options. When planning to move your belongings to a storage unit, be sure that you properly label and index everything. Detailed descriptions should be written on every box kept in storage for later convenience. However, it’s also very wise to create a reference list or map that shows where everything in the storage locker is. Of course, sometimes it’s silly to keep storing things you just don’t need or will ever use. When organizing everything into what to keep out now, what to put away until next winter, and what to put in the garbage, a fourth pile of potentially valuable items to sell is equally smart. Whether sentimental items that may have serious worth to a collector, gifts you received that simply don’t make sense, or remnants of a younger you that just didn’t plan for the future, posting the items on eBay and Craigslist, or having a garage sale will put new money in your pocket and open space in your home. Everyone knows spring cleaning is about a lot more than just clutter. This is an important chance to also move the furniture around and scrub normally skipped spots clean of dirt, dust, and grime. Instead of throwing money away on store bought cleaning products laden with harmful chemicals, try making your own. It’s amazing what can be done with white vinegar, baking soda, lemon juice, and some borax. Besides being better for your wallet and the environment, there’s a real sense of accomplishment that comes from doing it yourself. Implementing these ideas into your spring cleaning plans will go a long way toward perfecting your home for the best summer ever. If you’re looking to expand your storage options, please contact EZ Storage now!